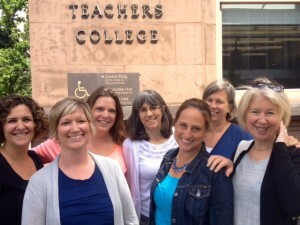 The Summer of 2014 was a busy time for many teachers and administrators! PUSD faculty members attended a variety of professional development sessions, including a week-long institute hosted by the Silicon Valley Math Initiative and attended by teachers and administrators at all levels, 3 days of SpringBoard training attended by PMS math teachers, and a week-long reading workshop institute hosted by the Teachers College at Columbia University attended by six teachers and three administrators. We are grateful to the Piedmont Educational Foundation for funding these learning opportunities and excited to share what we have learned with our colleagues!